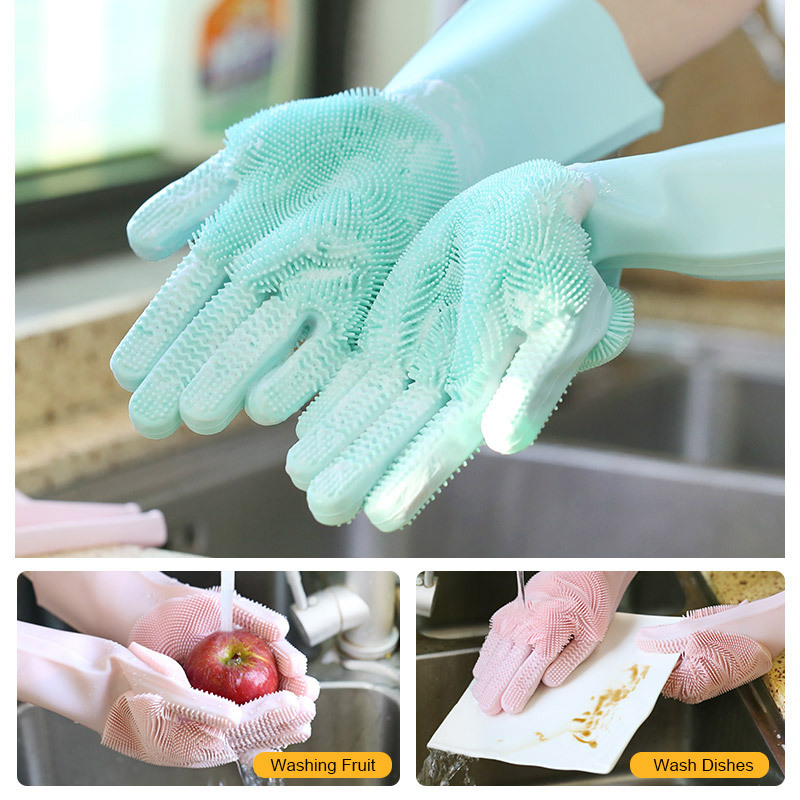 Magic silicone gloves with two-sided wash scrubber, only one suits two hands. 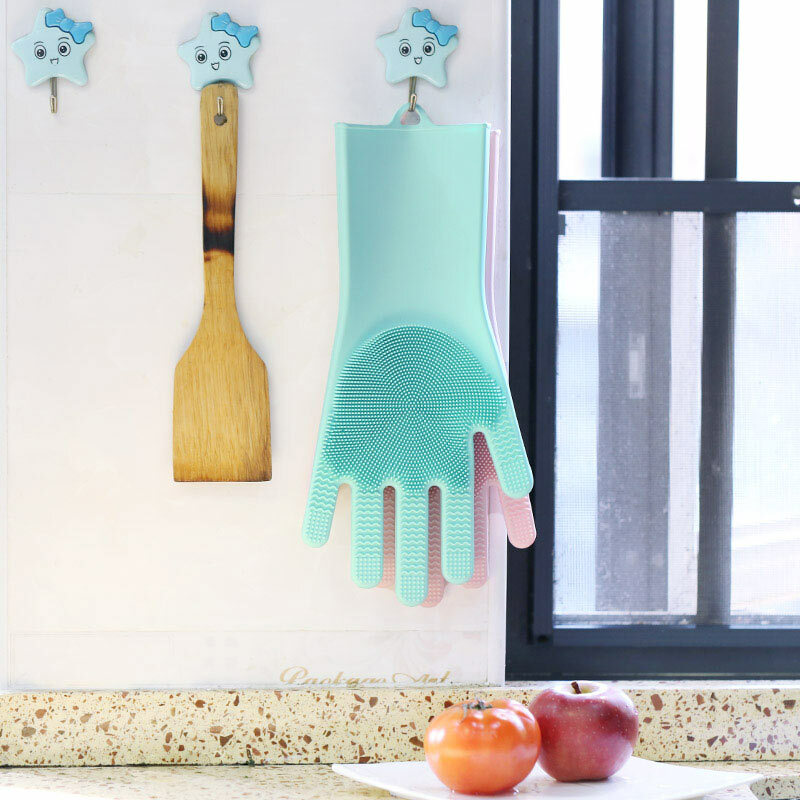 Heat resistant silicone gloves, It can also be used to move hot dishes or to remove oven dishes. 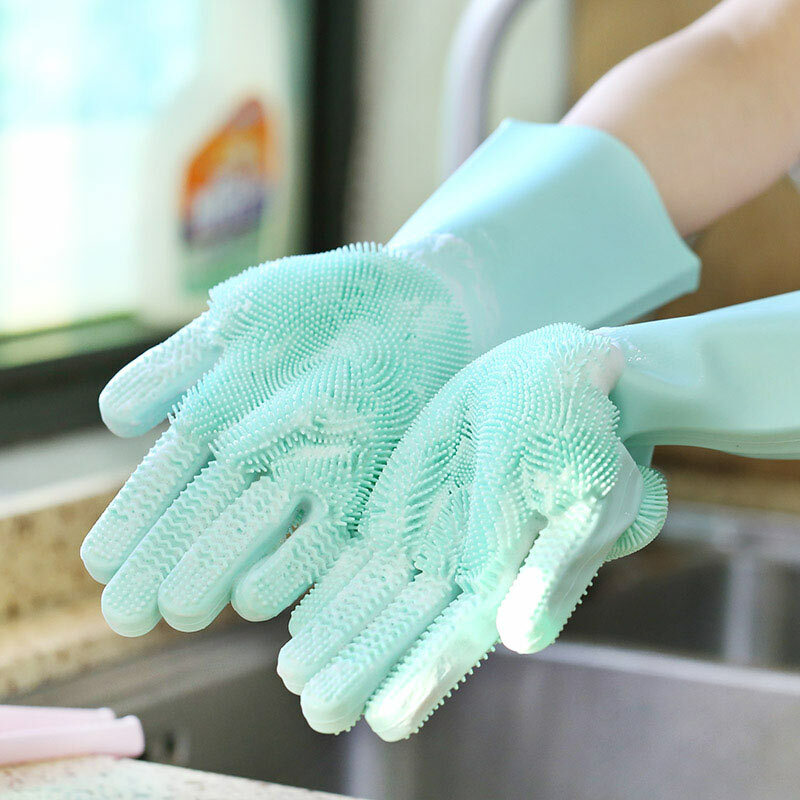 Oil-resistant formula guarantees the separation of oil and gloves, easy to clean. 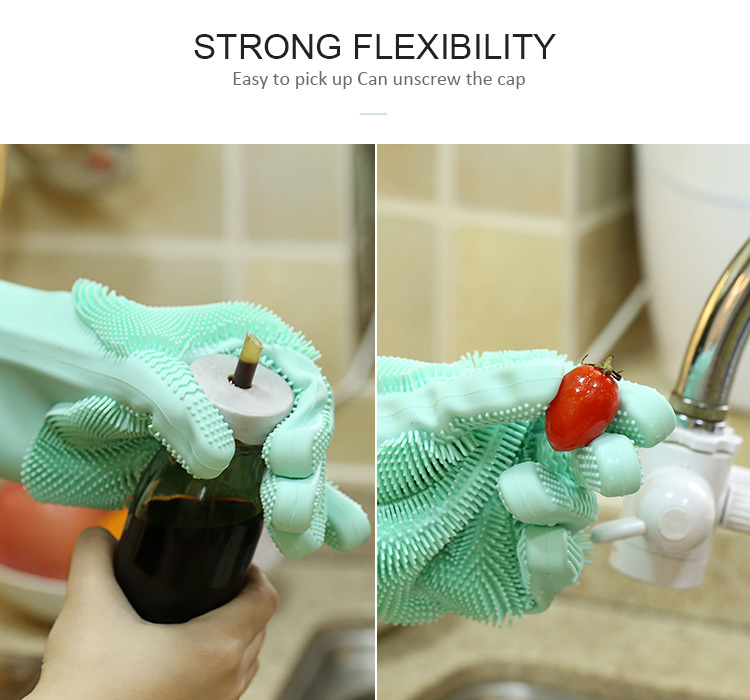 Magic silicone gloves is highly elastic, resilient and does not tear easily. Speedy natural drying, no bacteria, no deformation, no residue, tear resistance, feel is very good. Variety brush of kernel design, It's more convenience. 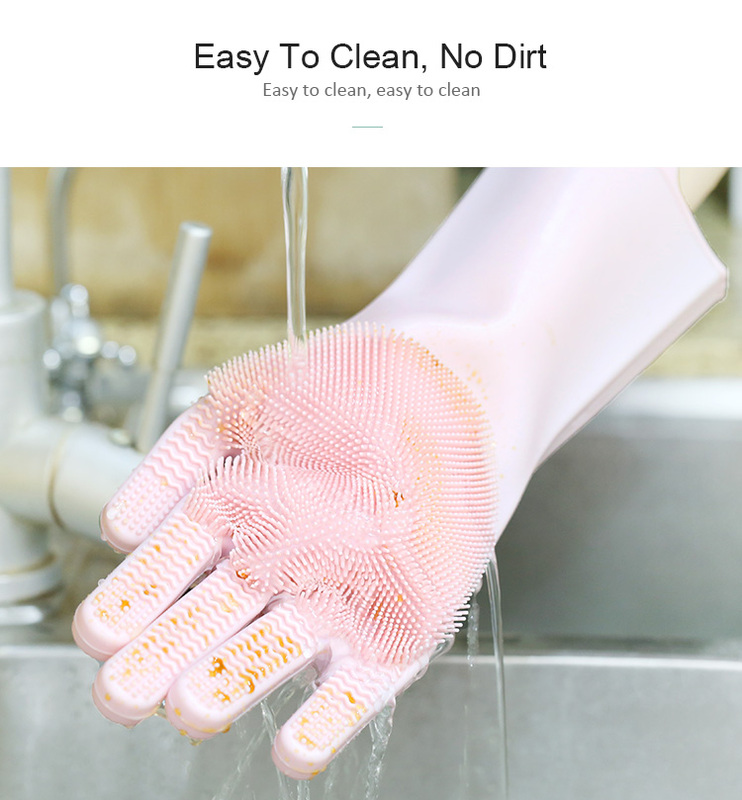 Food Grade Silicone, BPA Free, FDA Approved, LFGB Standard, no more stinky bacteria-laden sponges! 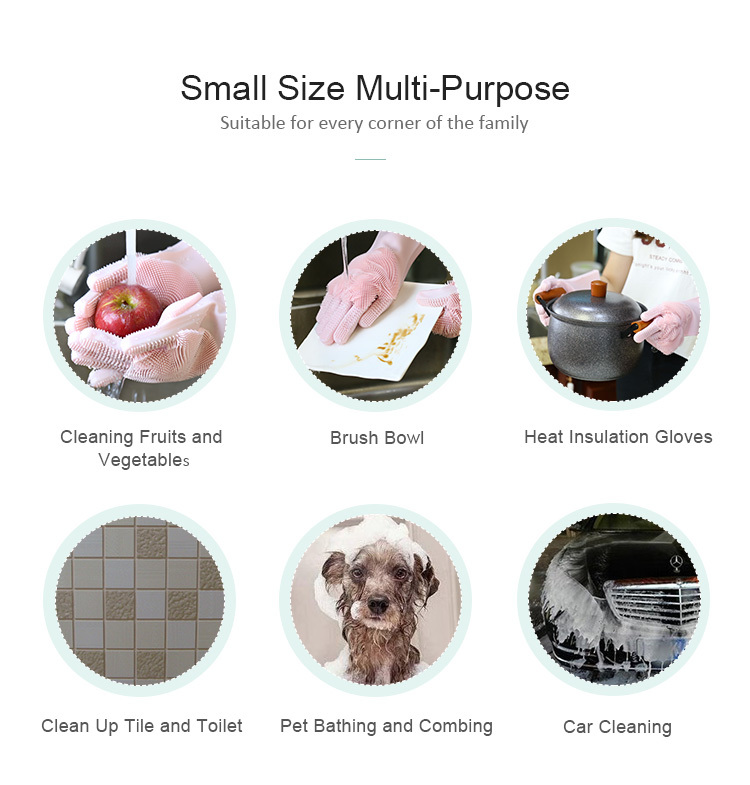 Resistant for Dish washing, Kitchen Bathroom Cleaning, Pet Hair Care, Car Washing. 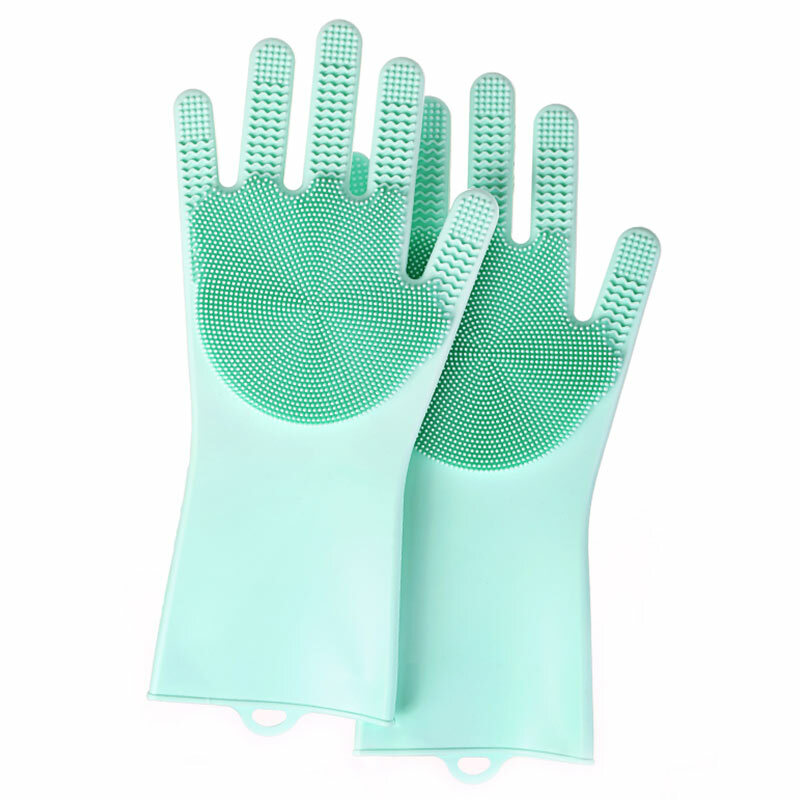 Looking for ideal Magic Silicone Gloves Manufacturer & supplier ? We have a wide selection at great prices to help you get creative. 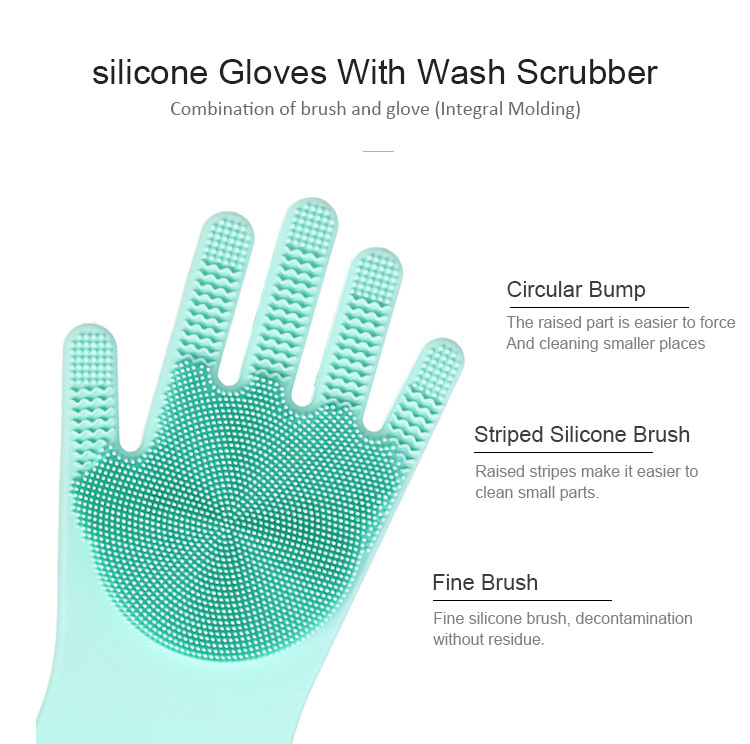 All the Silicone Scrubber Gloves are quality guaranteed. 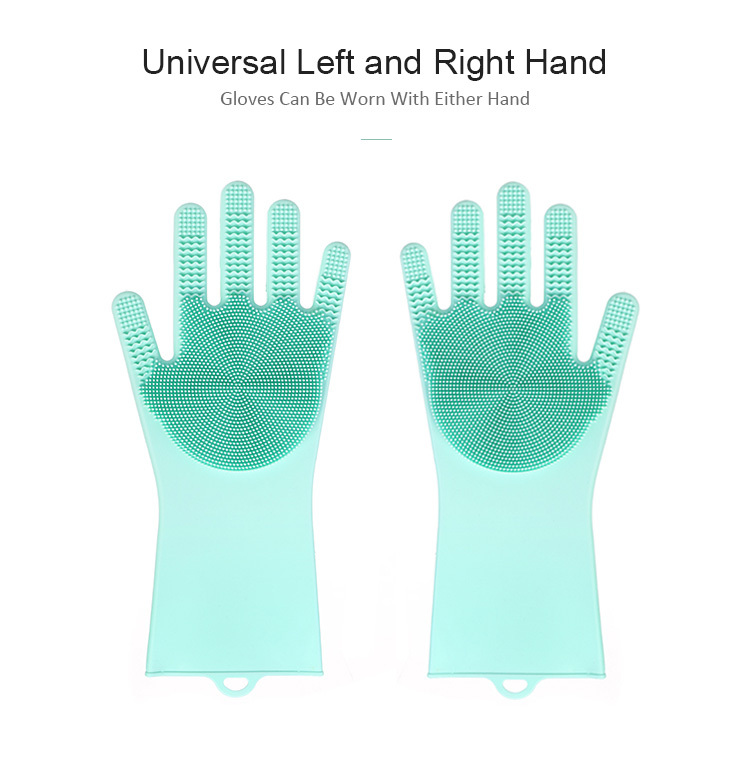 We are China Origin Factory of Silicone Gloves Wholesale. If you have any question, please feel free to contact us.